Queens pedestrians are at a high risk of personal injury as they have no other alternative than to walk in the street with the traffic because the City of New York is not cleaning the icy sidewalks that are on its property. 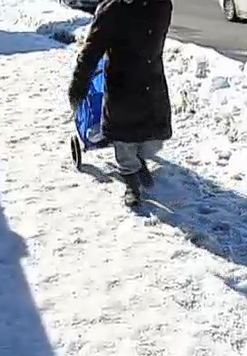 Residents are upset because according to the law in New York, property owners have 4 hours to clean their sidewalk after a snowstorm or they get a $150 ticket. The city hasn’t cleaned its sidewalks for days putting Queens residents at risk of slip and fall injuries or a car accident if they choose to walk in traffic to avoid walking on ice.